SUMMIT COUNTY — Beginning next year, REI members will have to pay a bit less for four days of skiing at Copper Mountain Resort. Next season, Copper Mountain will offer a special $189 “Four Pack” option for REI members to ski or ride four times at the resort. The option is $20 cheaper than the resort’s standard “Four Pack” option for four days of skiing and riding at the resort, which will be $209 next year. The pass went on sale on Tuesday, Mach 20. The option for the 2018-19 season comes a year after Copper Mountain and the outdoor recreation retail cooperative launched its REI Adventure Station physical store at the resort this past ski season. The store’s opening came in the wake of the grand opening of the REI store in Dillon. For skiers and riders who aren’t currently REI members who sign-up as co-op members through the resort’s REI Four Pack option, they will receive the lifetime REI membership and the pass at a $189 price. 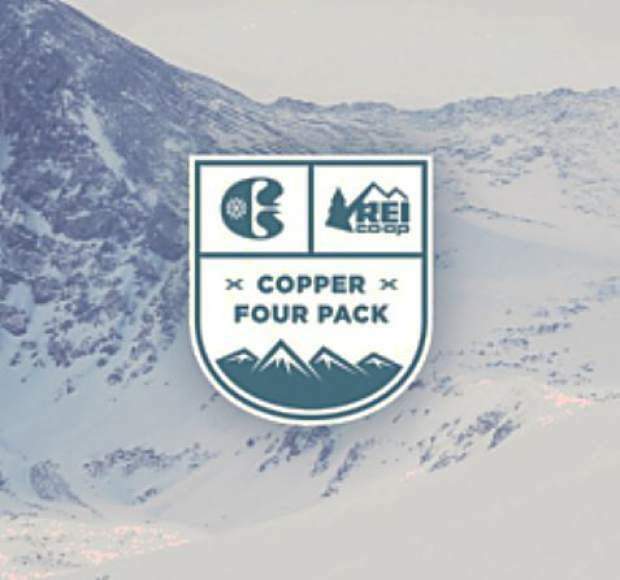 The REI Four Pack pass will also be a REI-branded pass that offers free belt waxes at participating Colorado REI stores and the same perks that standard Copper Mountain Four Pack and unlimited season passholders receive. As for returning Four Pack purchasers, Copper season passholders and Rocky Mountain Super Pass Plus passholders, the resort is also offering a bonus day — for a total of five days of skiing and riding at Copper Mountain — if 2018-19 passholders renew their Four Pack in-person or online by April 30. Next season’s unlimited Copper Mountain season passes are currently on sale starting at $459, with Kids Ski Free, which offers adults who purchase a season pass a free Copper pass for a child between the ages of 5 and 12. Copper season passes include unlimited access to Copper Mountain along with three free days at Monarch Mountain, Purgatory and Taos Ski Valley in New Mexico. Passholders can also enjoy free skiing and riding at Grand Targhee Resort, with the purchase of lodging. To learn more about the Copper Mountain Four Pack, REI exclusive perks and discounted four pack access, and Copper season passes, or to purchase one, you can visit CopperColorado.com/Passes. To learn more about REI outdoor programs at Copper Mountain, or to register, visit http://www.rei.com/copper-mountain.